I’ll be the first to admit it; I’m a lucky man in tight shorts. 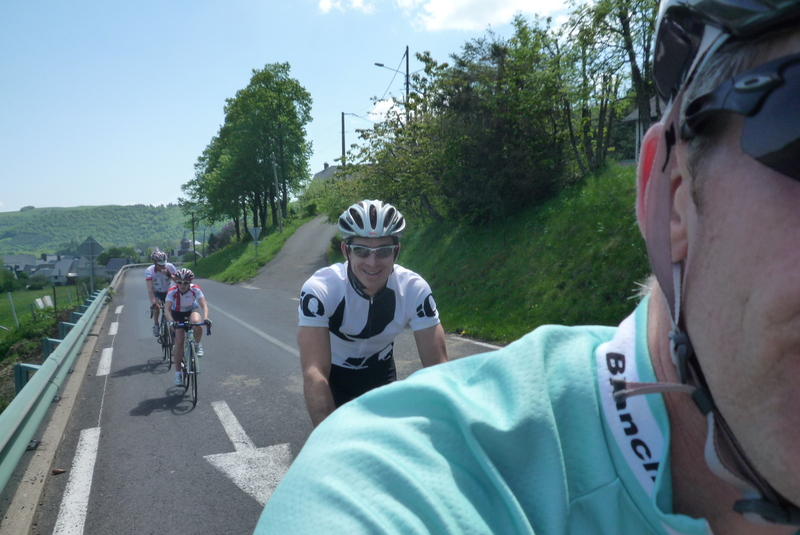 My latest véloventure is all thanks to my generous cycling buddies, Erik and Anne. 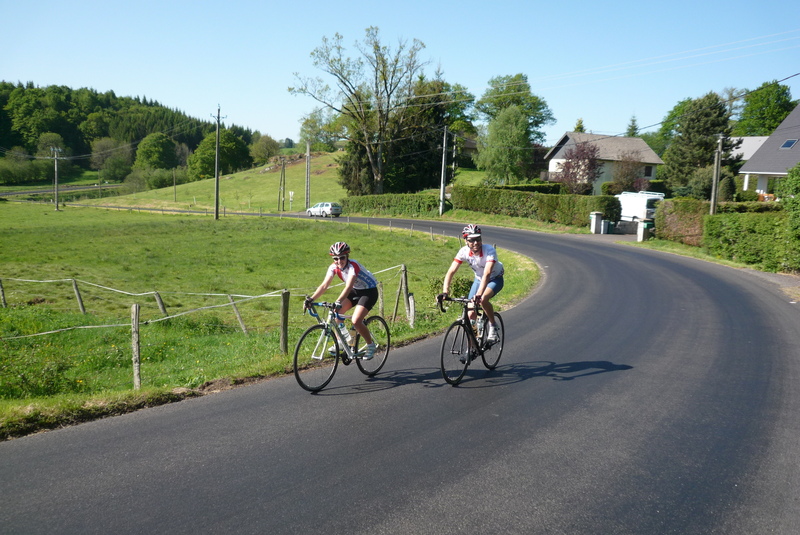 Erik will be joining John and I for Act One of the Etape du Tour this July and Anne will be our support, and they had the great idea of getting us all together for a weekend of riding at their place in back of beyond of the rural departement of Cantal. Anne picked me up at home and, as usual, the Bianchi was ready to go before me. It took us 5 hours to drive there and by the time we reached their house the GPS screen just had an arrow going through a black screen. 6 km from the nearest village, no TV, no phone, no internet – but really, who needs it when your front yard looks like this? After an evening of walking in the forest and carbing up on pasta and beer, Saturday morning broke clear and mild (a rarity here, we were assured). The Bianchi, warming up in the morning sun. Then it was on the road. This is Anne’s bum. I’ve saved the biggest till last – mine is showing in the next blog article. 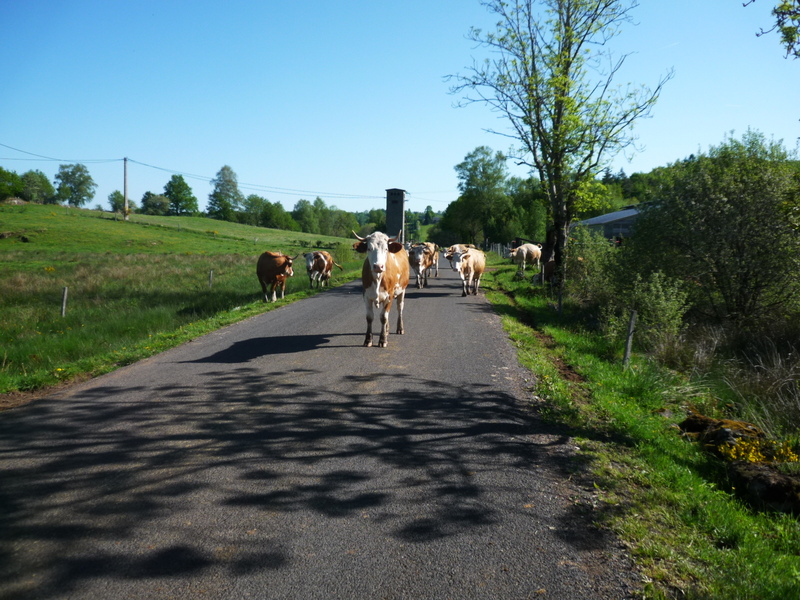 Cantal does have morning traffic, if you’re unlucky. This turned into a bit of a standoff, with the cows refusing to move, probably in the knowledge that they had horns and we didn’t. Eventually a car came by and scattered the crowd enough for us to squeeze through. Below is Mr. Metabolism, Erik, having elevenses, basically right after finishing breakfast. After the banana we had some great rolling roads. Anne and Erik, right after Anne’s first encounter with the Great Outdoors – some deer darting across the road. In the distance is possibly where we climbed to later on, but it’s pretty regardless. It was a long slog up the biggest climb of the day and John had taken his customary position in front and out of sight, while Erik and I battled it out for 2nd place. Well, it actually goes like this: Erik says something like ‘I’m done’ and drops back a couple of km before the summit, while I truck on at the only speed I have on climbs. Later, as the finish line approaches, he puts in a silent sprint and passes me. This erratic and unpredictable behavior earned him the name (from me at least) The Spaz. While we waited (not long!) for Anne, a kind hiker took our photos. 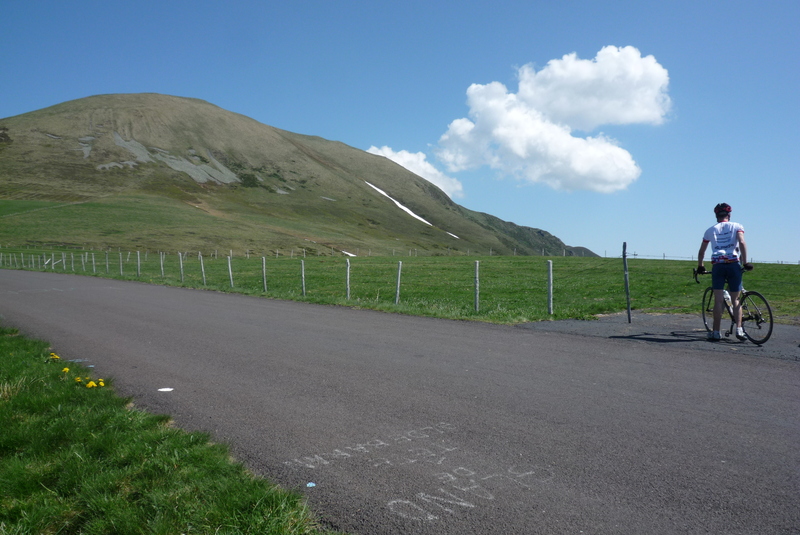 The hidden sign says “Col de la Croix St. Robert – 1451 m”. After this pass we had what ended up being my 2nd favorite descent of the weekend, but still a top 10 for my entire ‘career’ – a fast, looping road that flies down the open fields in an endless series of great, sweeping turns; all the while with a completely open view of the vast valley you are descending into. Heaven. This is right at the end of it. 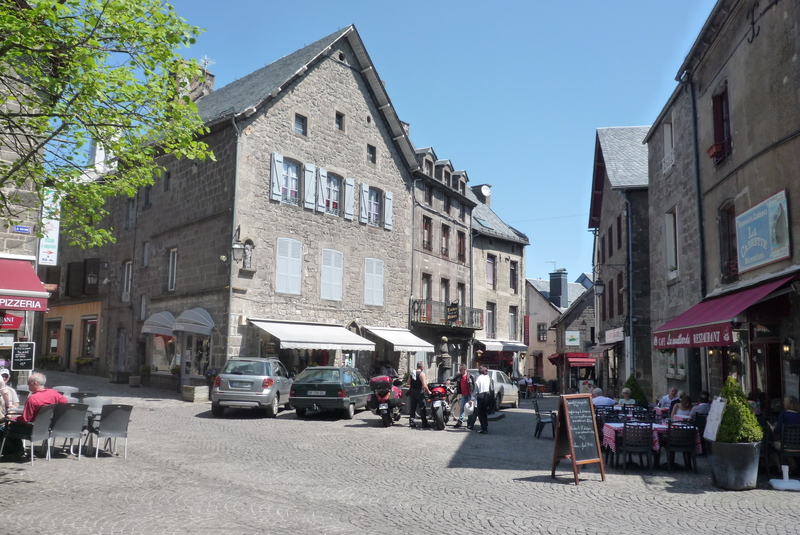 Here is the pretty village of Besse, which, if you are an extreme cycling fan, will give you some hint as to our next climb. 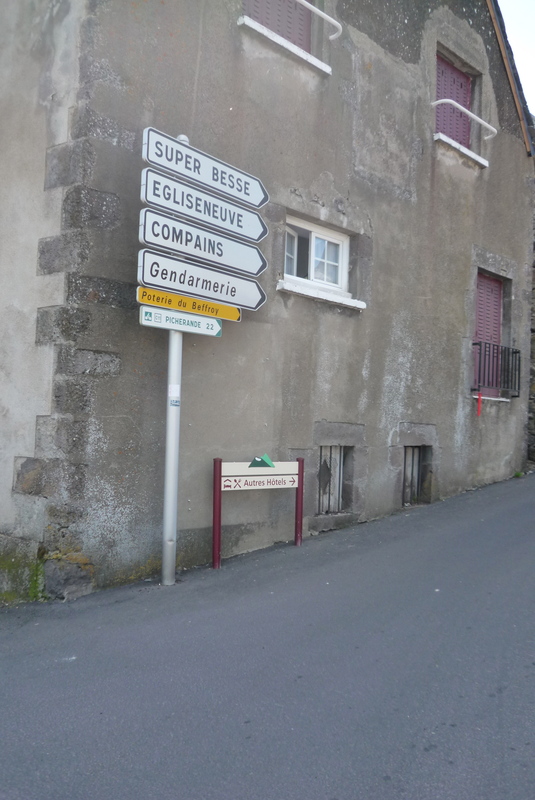 Right you are – Super Besse! 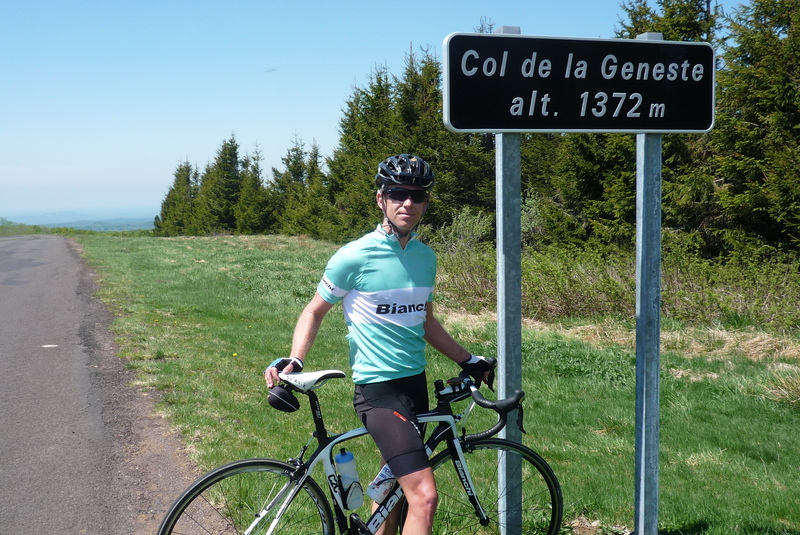 OK, it’s not Alpe d’Huez, but it is still a TdF mountain. More on the climb later. To distract ourselves before the hard work I practiced some trick shots. This one I’m particularly proud of. It’s a drop-down-reverse-vertical shot that I think worked quite well, giving John a menacing look that compliments his riding well these days. John tried his hand with good results as well. 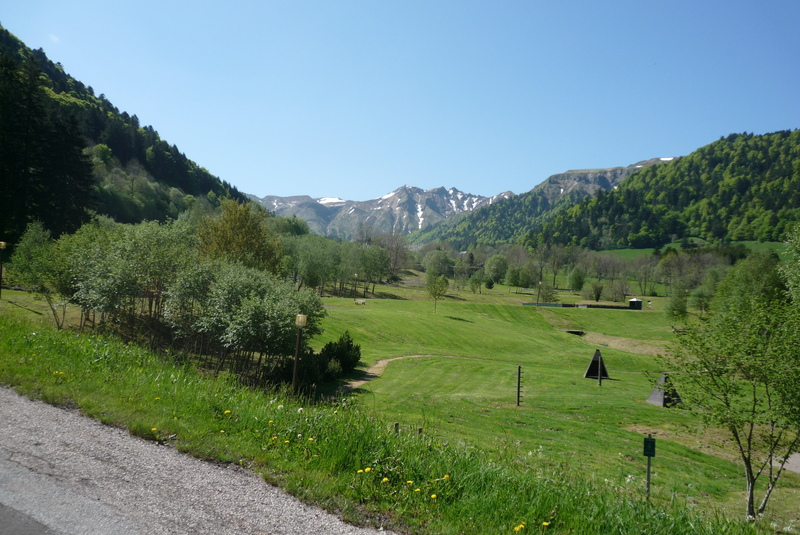 So then came Super Besse, only 2km long (or much longer if you include the gentle grades we just came up), but look at that hill! 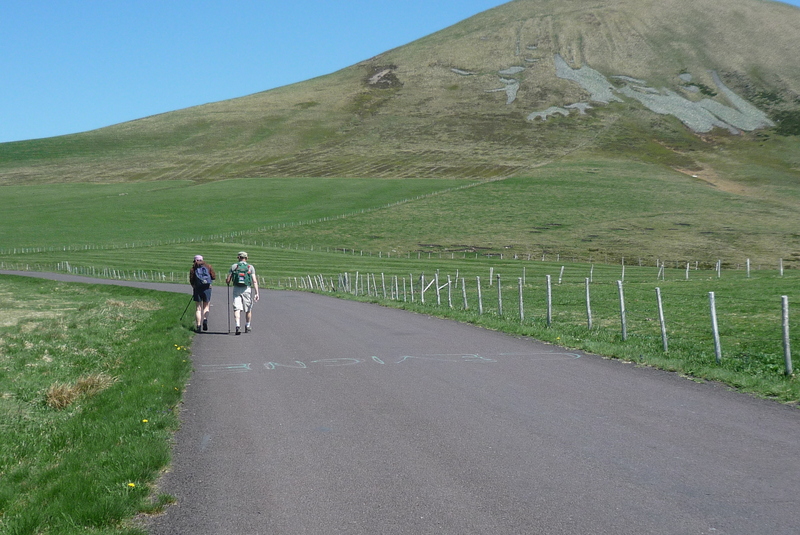 And no, that’s not an optical illusion – it really was pretty steep. I’m glad to report I held John’s wheel on this one. Shortly after the ski station there was another col to ‘bag’. 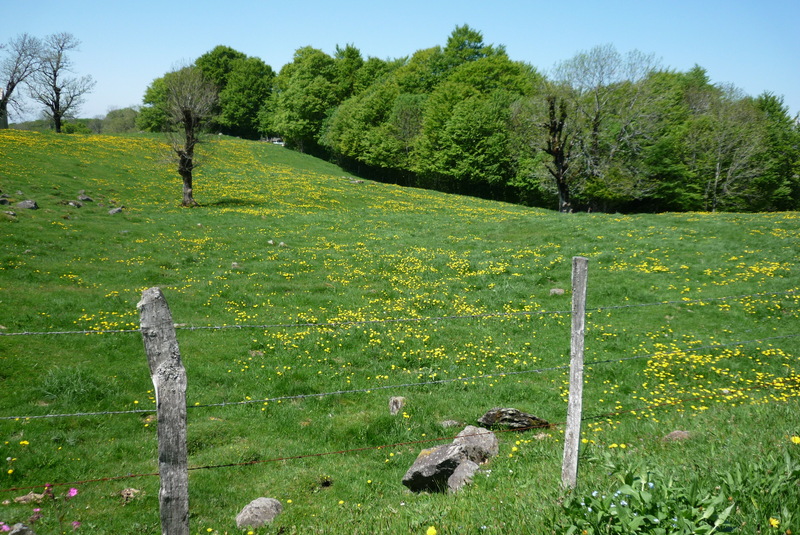 And somewhere along our way back home, some more pretty lushness. Back at the ranch we enthralled John’s family with tales of danger and heroics, while they politely listened (where could they go, the place is surrounded by forest!). After awhile, the family went into town to look around and in this very spot, Erik, Anne and I enjoyed possibly the best beer (well, it was Coopers) and tortilla chips I’ve had all year…and that’s saying something. 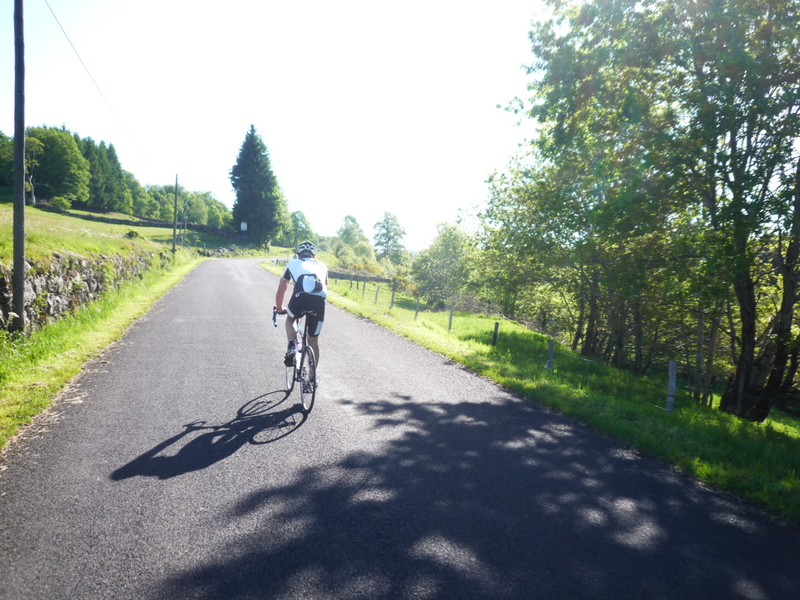 This entry was posted in Cycling, Mythic Rides / Climbs, OTHER CATEGORIES and tagged cantal, climbing super besse. Bookmark the permalink. The whole thing looks like heaven. It was pretty nice, you’re right. Ditto Tootlepedal, and I bet for an extra treat it is cherry season there, at least in the south. Oops, a second comment, this time with a question. Snow on the mountains, and they do look like mountains, not hills, correct? 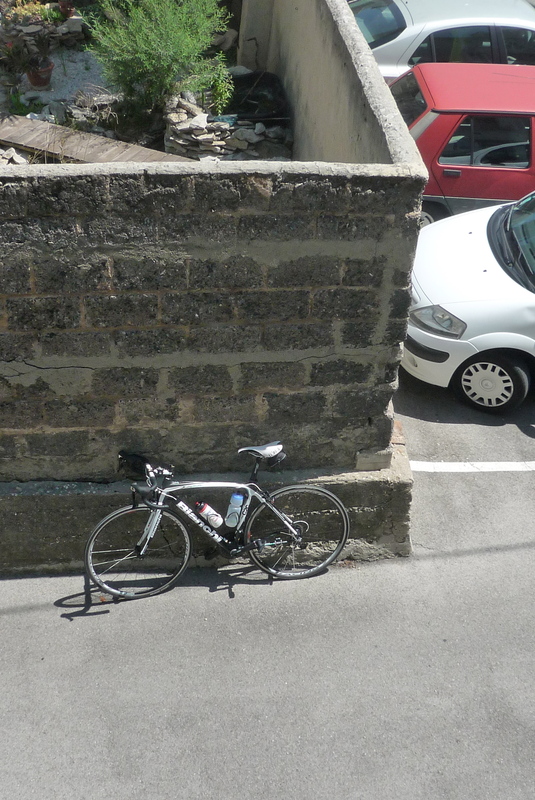 Is this still part of the Cevennes, or is it generally the massif central? 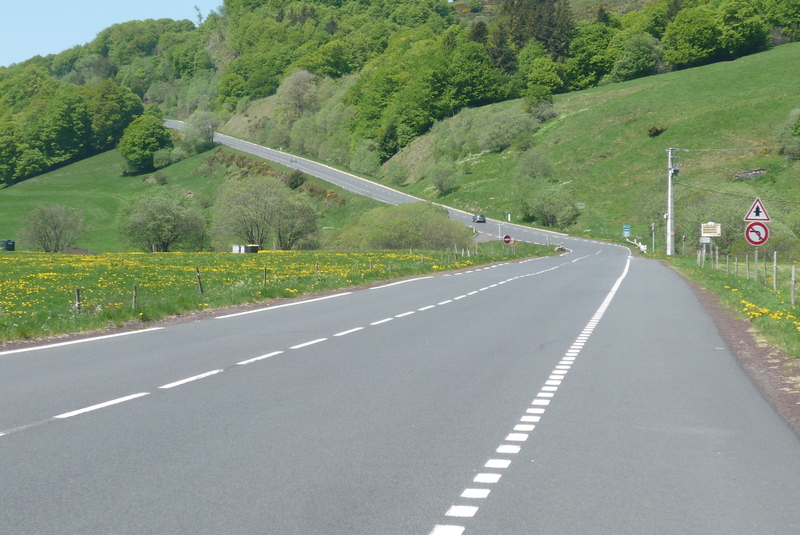 Beautiful, and looks like great cycling country, n’est-ce pas? Is that generally true of the region? Well, four questions. Thanks! It’s hard work to be southern France’s cycling expert for the rest of us poor cyclists elsewhere in the world, but you’re up to it! 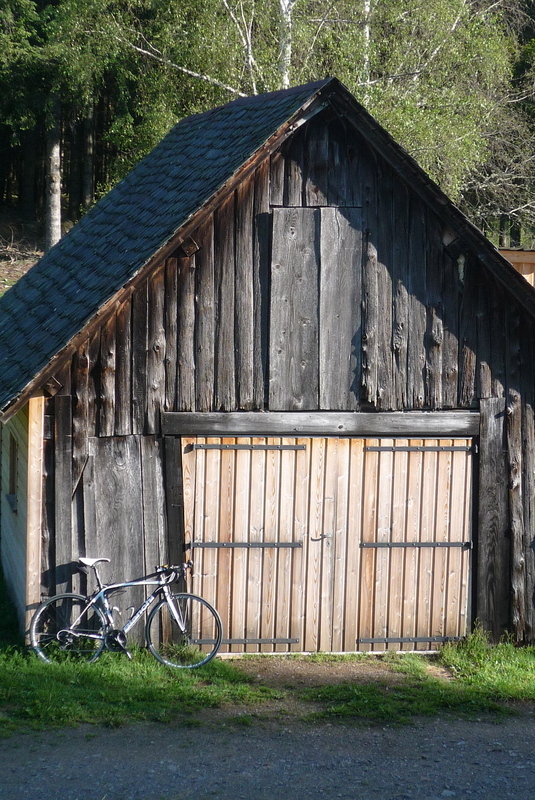 Excellent cycling country and so different from where I live. I’m glad I went…now I just have to get invited back! 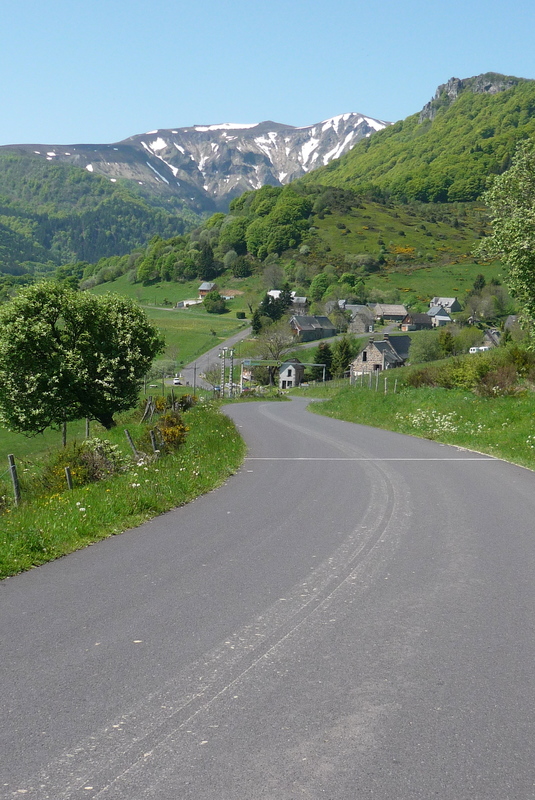 That descent sounds like the Col du Marie Blanque descent – Bielle side. Looping and awesome. Gerry very conveniently forgot — either out of modesty or sheer data overload — that the day’s first two cols, the Croix St. Robert and Super-Besse, were 2nd and 3rd category climbs respectively in last year’s TdF. Gotta respect those legs. I’d like to say it was modesty or forgetfulness, but the truth is sadder…I guess I wasn’t listening when we discussed this! 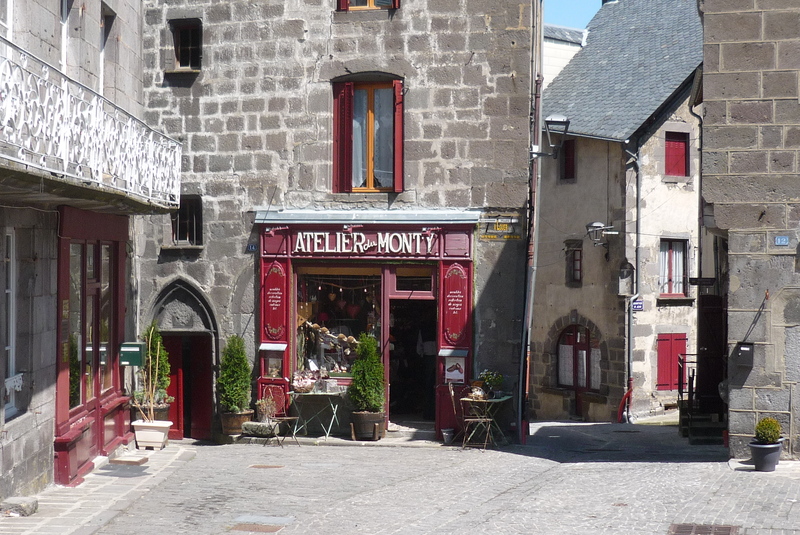 Cantal is one of my favourite parts of France. 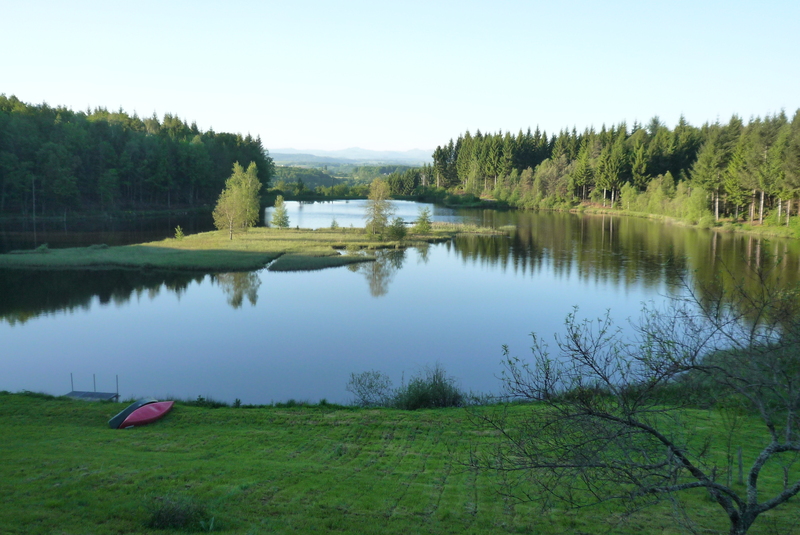 We had a lovely cycling holiday there about 8 years ago, one of our best ever even though we were still towing two of the kids on trailer bikes. I’m so glad they’re all self-powered now! Do you have a blog of your old travels? Would love to see all the places you went before you got the place in Creuse. That was all pre-blogging days but I’ll have to have a dig around. I think I used to keep dairies – remember those?! I do indeed. Have a whole closet full from my old travels! I put a lot of my ‘analogue’ trips on the blog for posterity.